Are West Africa’s Forgotten Lions Doomed to Slip Into Extinction, Unnoticed? A West African Lion. Photo by Philipp Henschel/Panthera.What is the glue that forever binds lions to East and Southern Africa? Was it the pioneering Serengeti research done by Bernhard Grzimek? The high volume of lion films, featuring terrestrial backdrops like the Okavango Delta? Or is it simply that iconic picture of panthera leo, resting on a granite kopje or under an umbrella tree, that associates the big cat with the Edenic plains and Miombo woodlands of Africa’s fabled east-southern bloc? Whatever the reason, the groundswell of gate receipts in wildlife-rich parks like Kruger and the Serengeti-Mara axis, where visitors flock to see Africa’s most luminary animal, suggest the historic affiliation. Yet in spite of the flush of photos and films, it is the more insular, reclusive felines in the western forests of the Sarahan edge that, in the survival sense, are quickly crossing the Rubicon toward extinction. Ironically, with their sun rapidly setting in shrinking—largely unknown to the outside world—pockets of West Africa, it is a world besotted with lions that hardly seems to notice what is happening in this part of their ancient range. A lion cub in the W-Arli-Pendjari complex. Sharing the borders of Benin, Burkina Faso, and Niger, this protected area is one of the last strongholds for lions in West Africa. Photo by Philipp Henschel/Panthera. I’d once speculated that the West African lion was merely a hapless victim of unintentional neglect, due mostly to long-standing wildlife conservation elsewhere. I figured they’d simply been forgotten. West Africa, after all, isn’t known for its sprawling vistas or large-scale herd migrations, nor does its protected areas hold the glamorous reputation that parks in East and Southern Africa do for those looking to experience the continent’s extraordinary natural wonders. Proof to the theory was a quick Internet search, one generating countless articles related to the lions of Kenya, Tanzania, or South Africa, where, despite ongoing challenges, wildlife conservation is in full swing. The West African lion, meanwhile, is a vanishing specter, an online apparition appearing only in a handful of snippets. But while my initial assumption was true, and despite the dip in lion numbers continent-wide, history reveals a bleaker subtext to the significantly worse population decline in the bulge of Africa than I’d originally thought. The beginning of the end for West Africa’s lions (as I later learned) occurred in three of the region’s ecological zones—the Sahel, dry savannas, and savanna woodlands—during the colonial era. Driven by commercial interests, French colonizers transformed West Africa’s backwaters through the unfettered exploitation of natural resources. It was the provincial policy of cash cropping, in particular, that wreaked havoc on regional biodiversity, the deleterious effects of which remain strewn across Francophone Africa’s beleaguered landscapes. Whereas wildlife had varying levels of protection in British East Africa—in part because of the tsetse fly’s heavy presence resulting from the deadly rinderpest outbreak—animals and the ecosystems they inhabited in westerly French Africa were afforded no such luxury. Eradicating the tsetse fly gave way to export agriculture. Combined with pastoralism, substantial shipments of maize, cassava, groundnut, and potato, furthered deforestation and demographic growth, as well as a reduction in soil quality. Having now lost 99 percent of their historical range, the financial gap in conserving West Africa’s resident lions spells a significantly greater chance of extinction. West African lions are the rarest lion on earth. There may only be 250 left. Photo by Philipp Henschel/Panthera. Panthera, an organization dedicated to the protection of the world’s 40 wild cat species, and one of but a small detachment in the trenches of West Africa, brought Henschel on board in 2009 as Lion Program Regional Coordinator for West and Central Africa. It was he and several other researchers who, between 2009 and 2012, helped shed some much-needed light on the status of the continent’s imperiled cats. A subspecies dubbed Panthera leo leo, more closely related to India’s Gir Forest lions than those in East and Southern Africa (Panthera leo melanochaita), less than 500 of the shorter maned, longer-legged cats were estimated to be living in the Sahelio-Sudanian hinterlands. Low guesstimates were as few as 250. That was four years ago. I asked Henschel about their current status. 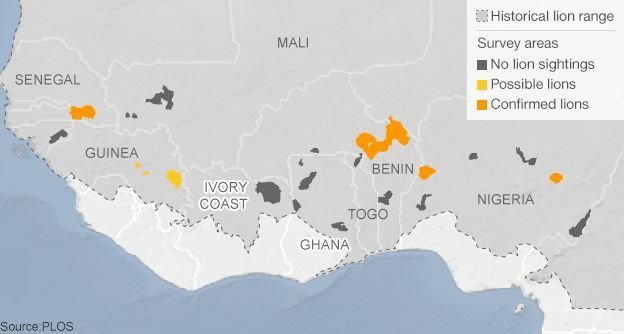 The current range of lions in West Africa is bleak. Map provided by the Public Library of Science. “Since the last counts we recorded a slight population recovery in the tri-national W National Park, located in the border region of Benin, Burkina Faso, and Niger. 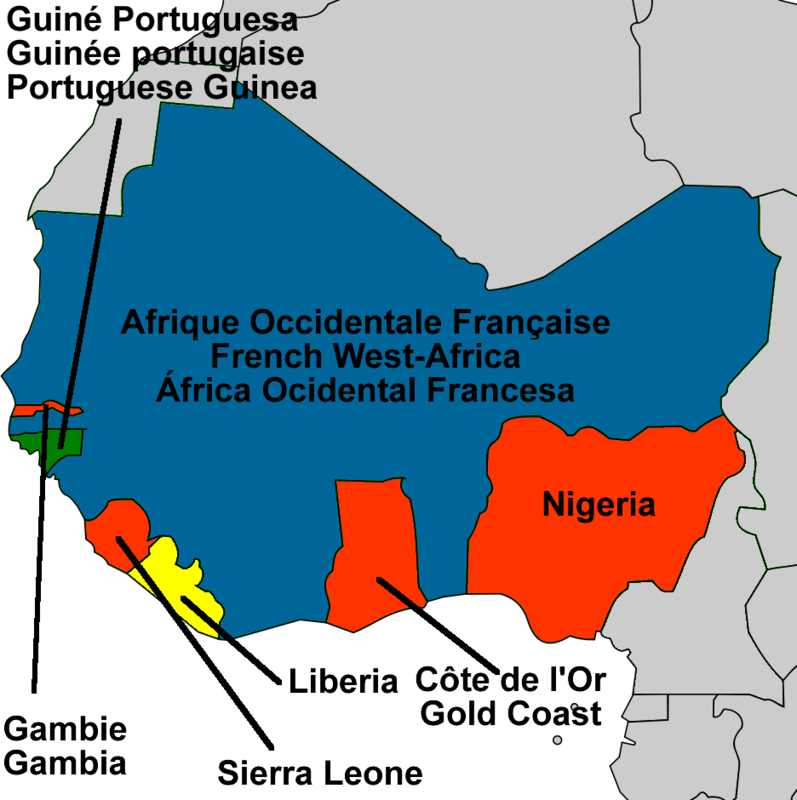 West Africa contains a number of protected areas with similar wildlife found elsewhere on the continent. The difference, according to Henschel, is that because the soil isn’t as rich, there is a lower density of wildlife, adding that because East African grazers such as zebra and wildebeest are completely lacking, lion pride sizes are comparatively smaller. Still, he believes the parks could be home to hundreds more lions, provided native prey species are given the time and necessary protection from bushmeat poaching to rebound. One swathe of promising habitat is the W-Arli-Pendjari Complex, a triad of national parks conjoined as a transboundary reserve, where 90 percent of West Africa’s lions are located; Pendjari National Park contains the greatest number in the entire western corridor. 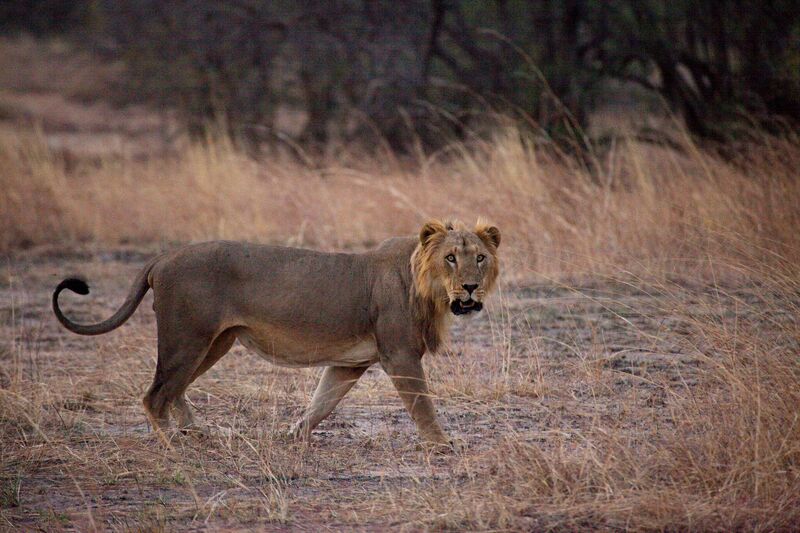 A West African Lion in Pendjari National Park, Benin. Photo by Philipp Henschel/Panthera. To the west, as to the rest of Africa, lions still embody the noble spirit of the people. Henschel even mentioned how in Senegal, 50 percent of large local enterprises are replete with lion trademarks. 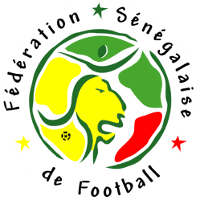 The Senegal national football (soccer) team uses the lion as their logo. They are also nicknamed the Lions of Teranga. Image courtesy of Wikimedia Commons. As of 2017, African Parks assumed management of Pendjari National Park. The Wildlife Conservation Network and Leonardo DiCaprio Foundation additionally pledged $150,000 for lion conservation in Niokolo-Koba. But lack of additional funding and a sparse tourist inflow means significantly greater wildlife management and anti-poaching obstacles. Added to the deluge is the near absence of community-based conservation. Ironically, the shortage goes back to colonial agronomy having replaced traditional land use. The latter allowed for fallow periods to restore soil fertility. The former ushered in desertification, effectively decimating wildlife habitat and phasing out traditional knowledge. 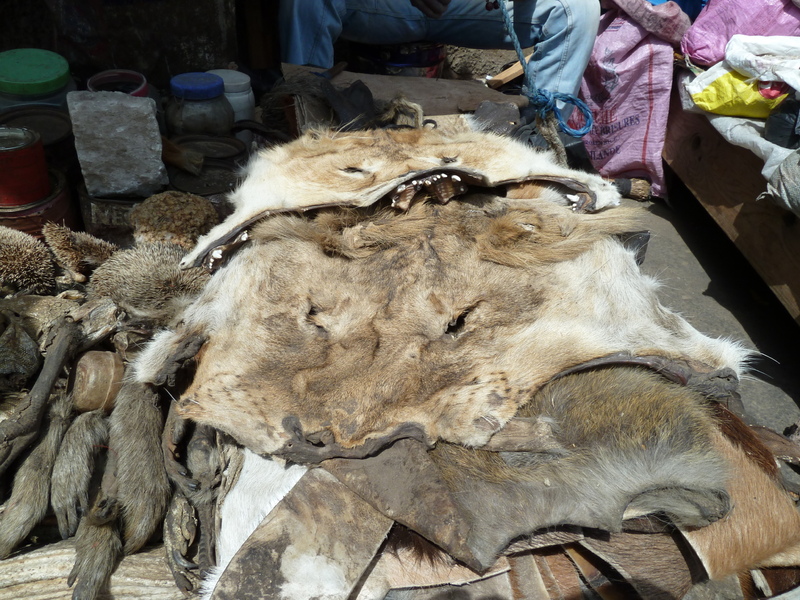 Poached lion skins are sold on the open market in many areas of West Africa. Photo by Philipp Henschel/Panthera. Today, with West Africa still very much in its embryonic stages of conservation, and with the responsibility of safeguarding ecosystems in the hands of cash-strapped governments, wildlife trafficking is rife. Cruel as it is, wildlife trafficking is an enduring symptom of human hardship. Without economic incentives such as tourism and adequate compensation for livestock loss, only dead lions provide a means of income. “West Africa is just incredibly impoverished,” said Luke Hunter, president of Panthera. We were discussing the differences between Africa’s respective conservation movements. In his view, meeting basic standards of living for people, while certainly a continent-wide affair, is particularly dire in West Africa. 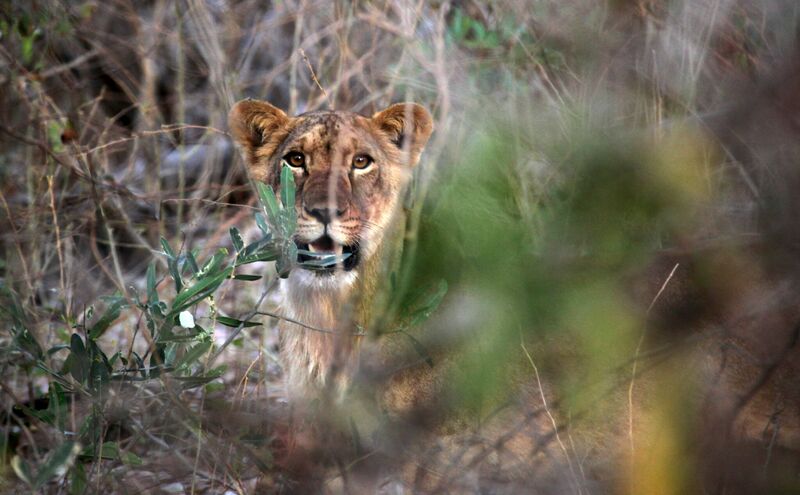 Antipathy toward lions stemming from human-wildlife conflict poses yet another problem. Hunter, who has been involved in lion conservation since the early 90s, understands why they are often viewed by local people as ruinous pests. If there’s any good news for West African lions, it’s new conservation projects where there were virtually none before, meaning potential opportunities for wildlife tourism, community conservation programs to mitigate conflict with people and their livestock, and anti-poaching units. Time, however, is running out. 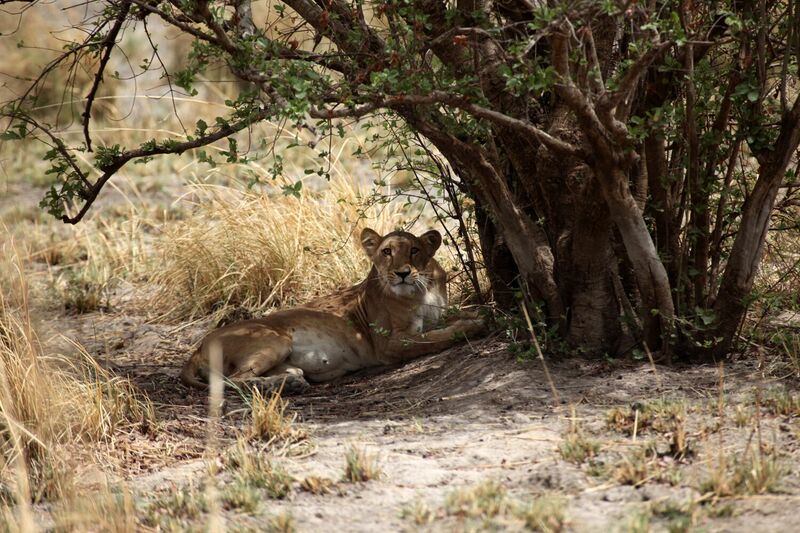 The lions of Yankari National Park, Nigeria, are on the verge of extinction. Photo by Philipp Henschel/Panthera. Perhaps the biggest obstacle to overcome is closing the knowledge gap. That is, if the global collective doesn’t know that lions are about to disappear soon in Nigeria and Senegal, or if they aren’t even aware of their unsustainable presence in West Africa, then not much more can be done. “We need to keep spreading the word about the dire conservation status of wildlife in West Africa, and attract more funding and support for specific lion conservation and recovery efforts in this region. Even the four remaining lion sites could harbor up to four times as many lions as they currently hold if the lions and their prey base would receive better protection. Should his message not be taken seriously, the last remaining lions will one day soon fade into the forests of Africa’s western frontier, a forgotten wonder of nature, never to be seen again. Michael Schwartz is a journalist and African wildlife conservation researcher. With field experience across the continent since 2005, his passion for Africa’s wildlife is matched by his compassion for the people who live there. A significant portion of his field work is carried out in Uganda, where he studies lion conservation.